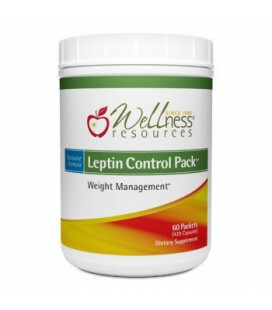 Leptin is the single most important hormone that regulates your body weight. It is the boss of thyroid hormone, insulin, growth hormone, and adrenal hormones (like cortisol). Understanding leptin and working in harmony with it opens an entire new world of possibilities to maintain and attain optimal metabolic function. Leptin is known as the fat hormone because it is made in your white adipose tissue, or stored fat. Following a meal leptin is released from your fat, enters your blood, and travels to your brain. It delivers a message that you are full and also lets your subconscious brain know how much fuel you have on hand (like the gas gauge in your car). If you are overweight, one of the simple case leptin problems is that your leptin "gas gauge" is sticky, and leptin is not entering your brain correctly (leptin resistance). This produces a false state of perceived starvation, which means you feel hungry and your subconscious brain thinks your fuel tank is near empty, even though you have plenty of stored fat on hand. This causes you to eat more food than you really need to eat. A brief description of these supplements is listed next, followed by in-depth information about how they work. We then explain a number of other leptin related topics and how nutrition can help. This is our most popular support package for weight management. Take one pack in the morning and one pack in the middle of the afternoon to sustain energy and burn calories. * Each individually wrapped packet contains: 1-Leptinal®, 1-Thyroid Helper®, 1-Stress Helper®, 1-LeptiSlim®, 1-Cinnamon Plus™, 1-Green Tea Extract, and 1-Quercetin.